Get to know Québec City and its top attractions on this educational and entertaining walking tour. The 2.5-hour adventure begins in the Upper Town district. Meet the tour guide and enjoy an ongoing commentary of interesting facts and stories about this historic Canadian city. Learn about the past and present and get a glimpse into the future of Québec City, a UNESCO World Heritage site, while walking along from one location to the next. This private tour is a customized experience, so be sure to include any specific requests and desired attractions to the guide at any time. Explore Old Québec, the historic heart of French Canada and the capital of the province of Québec, with its narrow streets, stone buildings and European feel. Learn about the city's history and culture while strolling past attractions like the Fortifications of Québec. See and learn about the important function of the city walls from centuries ago and gain a better understanding of the defense system of North America's only remaining fortified city. Québec City is the only walled city north of Mexico. There’s also the Citadelle of Québec, an active military installation and official residence of both the Canadian monarch and the Governor General of Canada; and Notre-Dame-des-Victoires Church, one of the oldest stone churches in Canada that stands on the very spot where Québec began. Visit Place Royale, often referred to as the birthplace of French America, and the beautiful Plains of Abraham, where the famous Battle of Québec between the French and English armies took place in the Seven Years’ War in 1759. Also, enjoy views of picturesque Place d'Armes and take photos of the towering Fairmont Le Château Frontenac, Canada’s most-beloved hotel. The tour concludes back in the Upper Town district. It truly is a fun and fast way to get to know Québec City and the many amazing attractions it offers. My compliments to James for an excellent job on our recent walking tour of Quebec City old and new towns. James ability to hold his audience with interesting stories along with facts is commendable, and his charming personality blending his Quebec upbringing blended with his Irish ancestry made for a perfect afternoon. My compliments. We had a delightful evening with Marie and other guests. A wonderful mix of history, great food and exposure to restaurants we might have not otherwise experienced. This is a perfect town for walking tour, rich history and compact picture points. However, our guide has a fairly strong French accent, and limited English vacabuary, so we are only able to under 70 of what she says. But she is nice and very knowledgeable. There was 4 people on our tour and it was excellent. Our guide Linda was very knowledgeable and we really enjoyed her. Raymond is an intelligent, personable and entertaining guide. The private tour fit exactly my family's needs. I would recommend it highly. We opted for the private 2 hour tour which suited our family perfectly. We were able to get oriented to the area and decide where we wanted to spend more time. Our guide was incredibly knowledgable, warm and fun to be with. 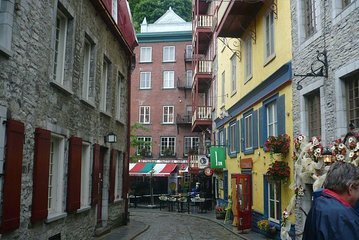 The best way to see the old city of Quebec is definitely on foot and with a private guide. We my kids and I were especially fortunate to have Brian Jenner as our guide! Experienced, informative and entertaining, he was a fountain of local knowledge and quick to pick up on our specific interests so we felt as if the tour had been customized for us. We only had the one afternoon in Quebec, and it was very full, but there is clearly a lot more to see, so we will be back for more. Thank you Brian and Viator for an unforgettable afternoon in Quebec. This was a great tour we were four 2 of them teenagers. We were lucky to have Jacques Loiselle as our guide he was engaging, knowledgeable and personable. It was a great introduction to the city's history and culture. Jacques recommendations were on-point. Highly recommended. So worth the additional expense as the guide was able to take my friend and I around at our pace friend had a knee injury. Despite the slower pace we still saw all the areas on the tour which he graciously extended for us as we were the last tour of the day. Viator also arranged this tour to start slightly later than advertised as we were coming from the airport and wanted to maximize our time as much as possible. 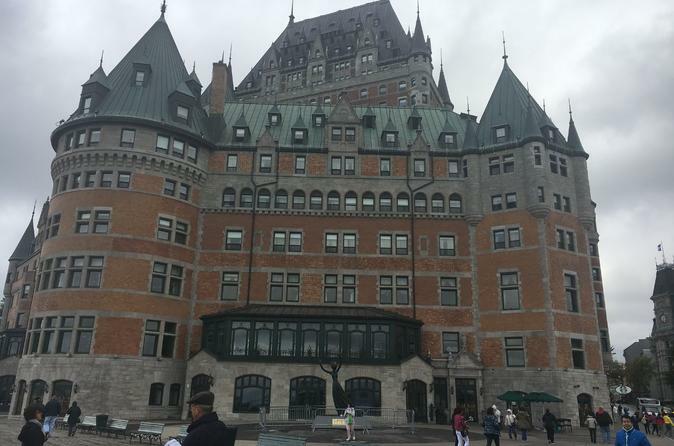 My wife and I had the privilege of spending 3 hours, with our wonderful guide Simon, hearing about, seeing, and experiencing the history, architecture, and culture that has made Quebec City what it is today. The intimate size of our group coupled with a well paced tour provided for an enjoyable and memorable adventure. We would recommend this trip to anyone and remind them to tell their guide what they are into as the guide can tailor the tour to your liking. Have FUN!